Russia's regional inequalities are among the most significant across emerging markets. In their study, World bank economists undertake an in-depth analysis of the factors behind high inequality as well as the possible solutions to attenuating these imbalances. 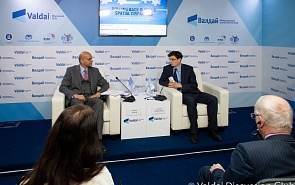 On January 28, at 12:00, the Valdai Discussion Club hosted an expert discussion, dedicated to the reduction of regional imbalances in Russian economy.